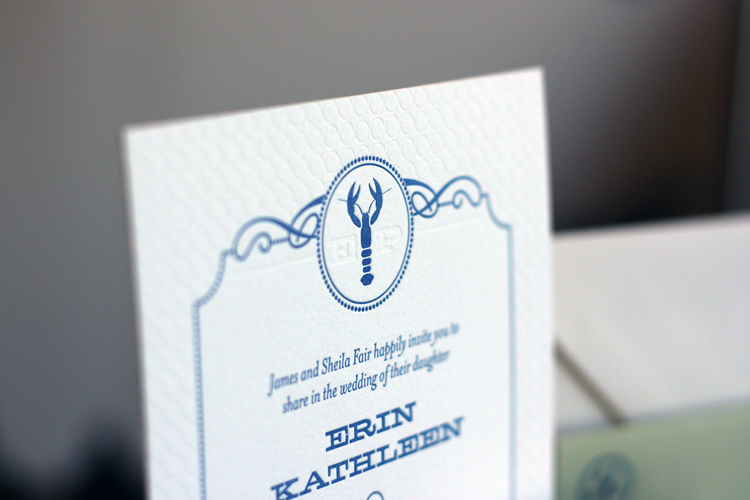 Designed by my very talented friend and graphic designer, Timm Fair, this suite is for his sister's wedding. It features a beautiful custom monogram and a blind impression that creates a striking background. Printed on Crane Lettra florescent white 330gsm and paired with Waste Not envelopes.